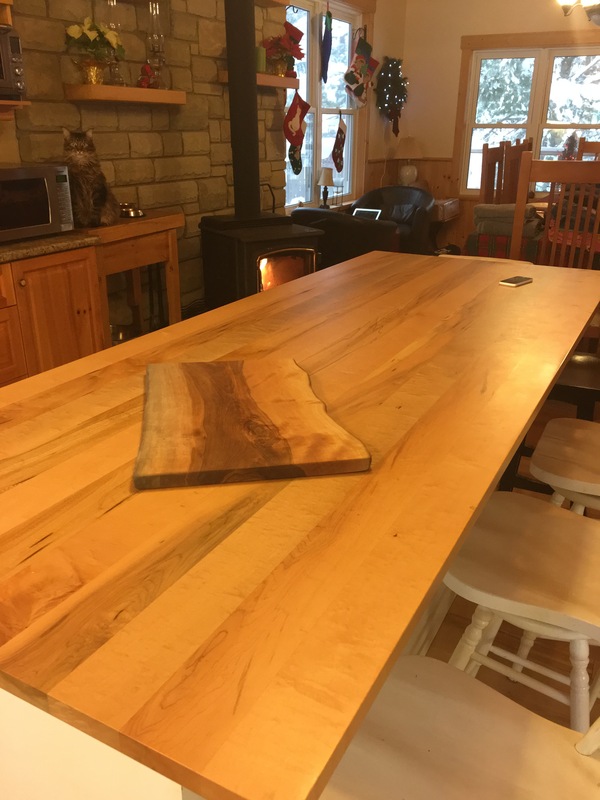 We custom manufacture wide board and traditional butcher block counter tops of all shapes and sizes. Our counter tops tend to be much harder and durable than other maple butcher block material due to the nature of our old growth lumber. Our counter tops are available in a variety of finishes including all natural mineral oil, and epoxy options.